Opening a new café has never been easier with Colombo’s complete coffee solutions provider – Colombo Coffee & Company (CCC). 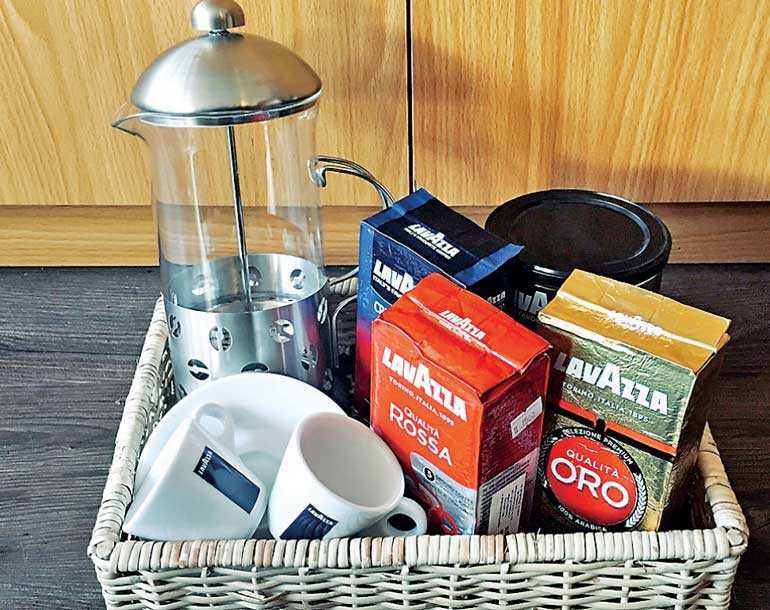 The flag carrier for Lavazza Coffee and the only experienced coffee solutions provider in Sri Lanka, Colombo Coffee Company (CCC) recently opened a new outlet that stocks and promotes all things coffee. Sri Lanka’s first dedicated coffee store is on a mission to bring the best among the lot in the industry to their loyal customers. CCC is the market leader for coffee solutions in Sri Lanka. It has been in the industry for more than a decade and has expanded their brand through constant commitment to serve their customers by prioritising customer satisfaction. Over 300 customers, out of which 100 customers are on long term contracts and span the hotel, restaurant and café sectors. The dedicated team of coffee enthusiasts work with coffee-based products from the world renowned brands like Lavazza, La Cimbali, Bonomi, Nuova Simoneli, Gaggia, WMF, Bunn, Fetco and the latest addition home-grown Toscana Ceylon. The outlet is everything a customer needs to gain first-hand experience in both international and local coffee brands. CCC’s vision is not just to bring the best coffee collection to the table but also to provide a platform for local coffee farmers to build a livelihood and encourage them to further enhance their production. This initiative lends a helping hand for the upcoming home businesses and creates employments for new entrants in the hospitality industry as well. CCC specialises not only in supplying coffee beans, but also offers complete coffee solutions providing the latest and most technologically advanced coffee machines and accessories such as barista accessories and café cleaning products which will be on sale at the outlet. These high end coffee machines are specially imported from countries like Italy, US and Germany. CCC functions in a way not just to remain first in the industry but to fit the needs of the customers and every project they undertake is customised according to the personality of the outlet whether it is for a commercial building, conference and meeting rooms, cafes, banquets, offices and hotel rooms. The outlet will be open from Monday-Friday from 9 a.m. to 5:30 p.m. and on Saturday from 10 a.m. to 5 p.m. For more information, please call the hotline 0703 606070 or the showroom on 0113 022225.